Dr. Lynne R. Mielke is the founder of Optimal Health Spectrums in Pleasanton, California. She takes a whole-person approach and uses specialized testing to determine the underlying cause of each person’s health condition. After the source of the problem is identified, natural integrative medicine treatments are customized to meet the needs of each individual. Helping her patients reach optimal health is her personal and professional mission. 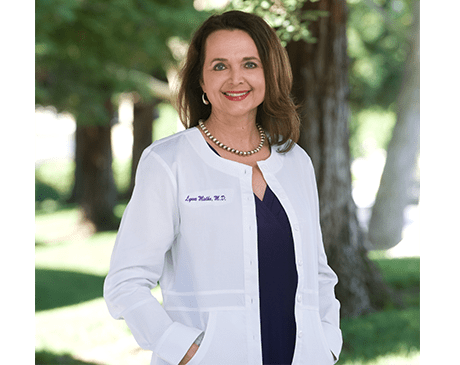 Dr. Mielke graduated from the Indiana University School of Medicine, then completed her Psychiatry residency at UCLA’s Neuropsychiatric Institute, where she became board certified by the American Board of Psychiatry and Neurology. She has received extensive training in anti-aging medicine through the American Academy of Anti-Aging Medicine. Dr. Mielke is also a Fellow of the American Academy of Ozonotherapy. Dr. Mielke’s interest in integrative medicine started when her youngest son was diagnosed with autism, and she realized that the standard medical approach wasn’t useful. Then when she experienced age-related hormonal decline and realized her concerns weren’t answered by her doctors, she studied integrative options such as bioidentical hormones. Now her education is ongoing as she attends anti-aging, bioidentical hormone, and wellness medical conferences every year, where she learns about cutting-edge treatments. Dr. Mielke stays active in her field by giving talks to parents and doctors, training practitioners on integrative medicine, staying in touch with top integrative medicine doctors, and constantly researching new treatments. As an expert in the field, she has been interviewed extensively in local and national media. "Dr. Mielke is a very caring physician." "Dr. Mielke and her staff are nothing less than amazing." " I highly recommend Dr. Mielke and all her staff for their kindness and patience"
"It's only a mild exaggeration to say that I owe Dr. Mielke my life! " "Dr. Mielke has helped me resolve some root cause issues I have been unable to discover." "I have nothing but good things to say about Dr. Mielke and her entire office." "Dr. Mielke and her staff are friendly, professional and knowledgeable. I would definitely highly recommend them and their services!" "She is a great doctor for someone who has chronic health issues and wants to get deeply involved in a real partnership with an MD who listens." 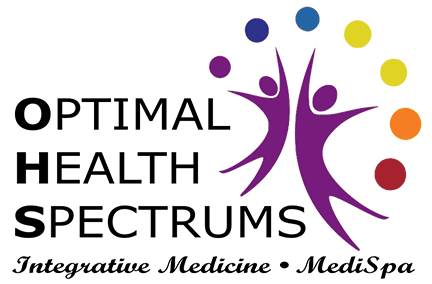 "If you are seeking an integrative practice and want to be treated with care, Optimal Health Spectrums is the place to go!" "Dr. Mielke really keeps up to date on all the newest advances in healthcare for the brain and entire body." "I am feeling so much better, and feel as I continue, my health and happiness will get even better. I highly recommend Dr. Mielke!" "Dr. Mielke was the only doctor that could offer any constructive help with my child when we were in crisis." "The staff and Dr. Mielke are great! Dr. Mielke is one of the most knowledgeable doctors in this medical specialty." "If you are looking for anything Dr. Mielke offers, I highly recommend you choose her as your doctor because she will exceed your expectations."